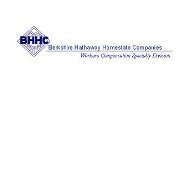 Redwood Fire and Casualty Health Insurance Company is actually a part of Berkshire Hathaway Homestate Companies. There are six different insurance companies under the Berkshire Hathaway Homestate Companies umbrella with Redwood Fire and Casualty being one. You can get online health insurance quotes from active health insurance providers by typing your zip code into the free rates tool now! By having six different insurance companies under one parent company, Berkshire Hathaway is able to write insurance policies for the entire United States. On the Berkshire Hathaway website is a tool where you can click on a state to determine what type of insurance is offered in that particular state. Redwood Fire and Casualty does not provide any health insurance policies. Redwood Fire and Casualty offers Workman’s Compensation policies to cover employers and their employees in case of on the job injuries. Redwood Fire and Casualty also provides training to employers and employees insured under Redwood Fire and Casualty to educate them on how to prevent on the job injuries. The curriculum teaches safety and identification of hazardous materials. The loss prevention programs also include establishing incentives for safety, safety inspection programs, and methods of the fastest way to return to work after an injury. Redwood Fire and Casualty also provides investigations of injuries when deemed necessary, on the job safety evaluations, and premade forms available to download for safety reference. For example, employers can download forms on how to handle a fire on the jobsite, automobile safety, or equipment inspection reports. The company also provides access to DVD’s on safety training for over twenty trade industries. For access to these videos, please email [email protected]. DVD’s can be reserved with a minimum of two weeks’ notice. Employers may keep the DVD’s checked out for up to two weeks. Redwood Fire and Casualty Agents can be located on the Berkshire Hathaway website by first choosing the type of insurance coverage that interests you. Then, enter your zip code, and the amount of miles you are willing to travel to meet with an agent. Once the information is compiled, you will be able to review the insurance agency name, phone number, and address. You will also have the ability to see how many miles it is away from the zip code you entered as well as visit the insurance agency’s website. All Workman’s Compensation claims should be directed to [email protected] or (800) 661-6029. Workman’s Compensation claims can also be filed by using the tool box provided on the company’s website. Once a claim has been filed a claim number will be generated. Keep this number for your records and to check the status of your claim as it is being processed. Forms for filing a Workman’s Compensation claim can be viewed and downloaded on the Berkshire Hathaway website. All other claims should be reported by emailing [email protected] or by calling (800) 488-2930. Redwood Fire and Casualty careers can be viewed on the Berkshire Hathaway website. Prospective employees can view career opportunities by searching categories divided into state, job area, and type of insurance. Interested individuals can also see the actual openings, which are listed in no particular order. However, once you choose a listing to review, you have the ability of seeing a job description, requirements, and a link to submit your resume. Another way to apply for a Berkshire Hathaway position is through a career fair at your local university where college students are recruited for positions across the United States. If you have additional questions or require additional assistance, you may send an email to [email protected]. Redwood Fire and Casualty provides a customer feedback form on the website. Simply fill out the requested information and click submit for a Berkshire Hathaway customer service representative to get back with you. A.M. Best ranks all Berkshire Hathaway and its subsidiaries A++. Compare quotes from active health insurance providers by typing your zip code into the free rates tool now!